Panasonic Japan announced [press release in English] the development of the so-called HOSPI-Rimo yesterday, a cute “Communication Assistance Robot” specifically designed for medical use. HOSPI-Rimo (Remote Intelligence and Mobility) is supposed to make it easier for bedridden patients to get in touch with doctors or family members living far away (“virtual visits”). 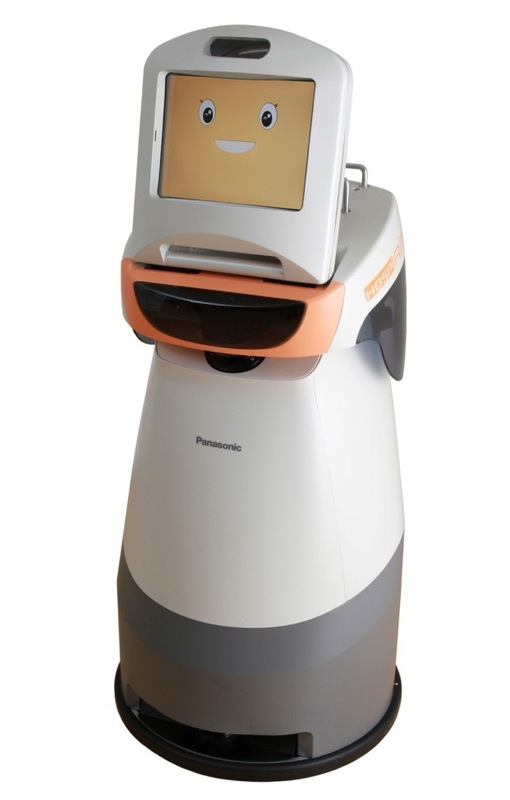 Technically, the mobile robot is based on the HOSPI, which Panasonic introduced last year. That robot is equipped with four laser range finders, 27 ultrasonic sensors and the ability to change floors in buildings autonomously. If a location near the target person is specified, the robot can autonomously move to that place, recognizing the surrounding environment and avoiding obstacles in the way. The robot can also be remote-controlled. Further more, in the remote control mode, the robot moves safely while correctly recognizing its surroundings. Patients can use the HOSPI-Rimo to video-chat with other people in HD quality, too. Panasonic plans to show the little guy, along with updated versions of their hair-washing robot and robotic bed, during the 38th International Home Care & Rehabilitation Exhibition in Tokyo next month.